This soup was kind of an accident. I don’t know what made me want to turn sweet potatoes into soup – but I am glad that I tried it because it has quickly turned into one of my favorites. I have made it twice now, with and without leeks, both were delicious. Cut the bacon in small pieces and cook over medium high heat. 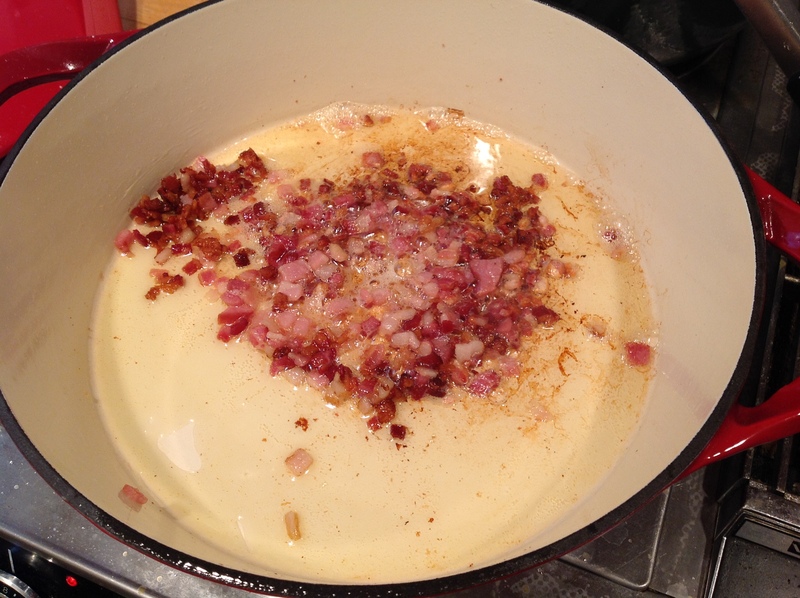 Allow the fat to render and remove the crispy bacon bits that remain in the pan. *The bacon bits will get soggy in the soup so make sure you remove them at this point. 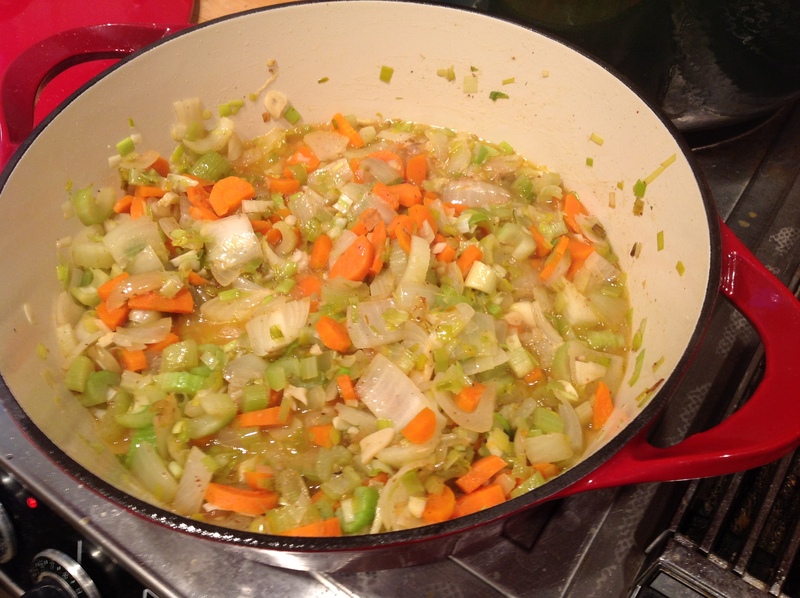 Dice the onion, garlic, carrots, and celery stalks and saute them in the bacon fat for a few minutes. 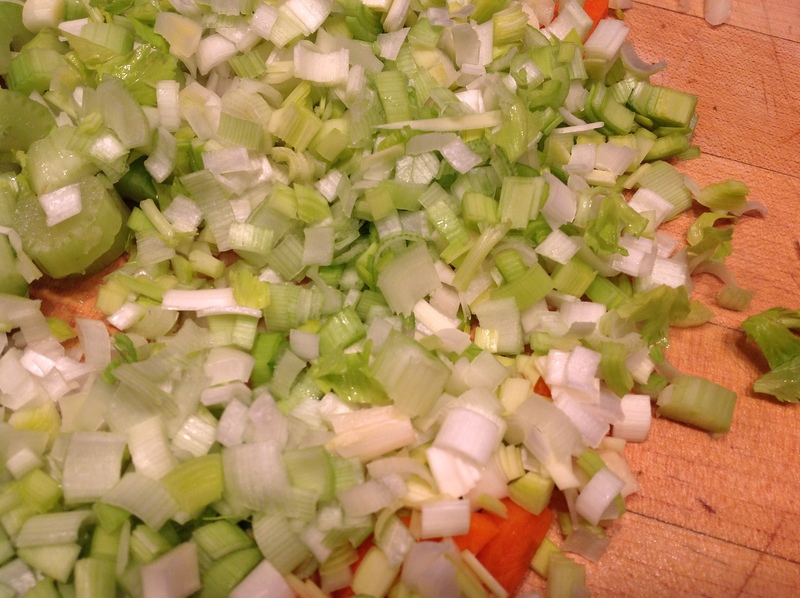 Clean and slice the leeks and add them to the pot. Add salt and pepper to taste and saute until all veggies are tender. After the veggies are tender, add the sweet potatoes and saute about 5 minutes. Add in the stock and bring to a boil, simmer until the potatoes are tender. Chop the basil and add it into the pot. 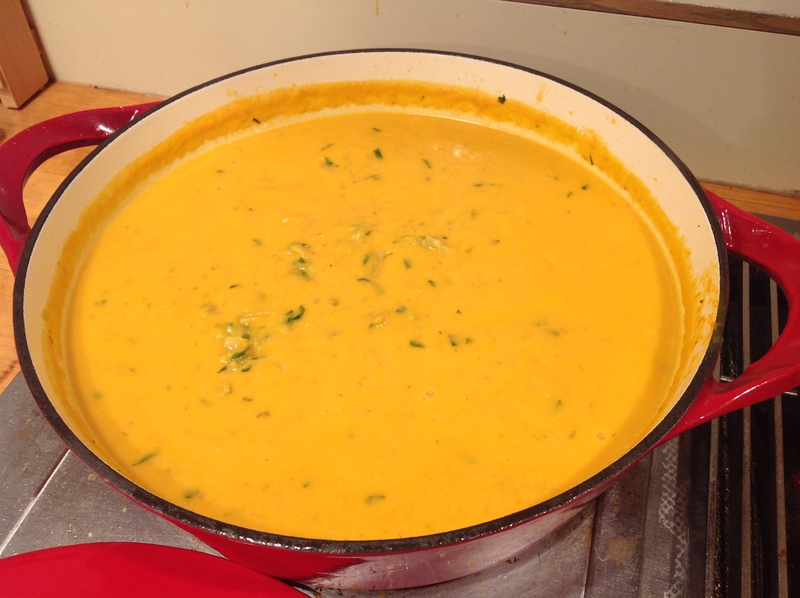 Turn off the heat and use a hand blender to blend the soup until creamy. Add in the light cream and stir. You can thin the soup with more broth if you like it a little thinner. 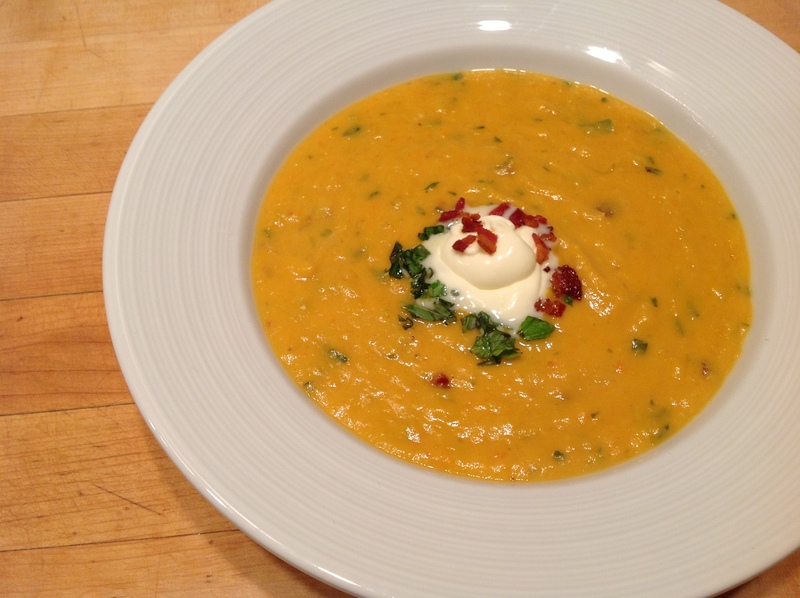 Serve the soup topped with a dollop of creme fraiche, a little more basil, and bacon crumbles on top.